Do your hiring managers know the law when it comes to asking medical or health-related questions during job interviews? Are your job applications toeing the legal line? Prior to a job offer, the ADA prohibits all disability-related inquiries and medical examinations, even if they are related to the job. After an applicant is given a conditional job offer, but before he or she starts work), an employer can make disability-related inquiries and conduct medical exams as long as you do so for all entering employees in the same job category. After employment begins, employers can make disability-related inquiries and require medical examinations only if they are job-related and consistent with business necessity. The most common mistake comes from hiring managers asking illegal questions during that first interview. But sometimes the mistakes are right there on paper. Bottom line: Review your job application or have your attorney help. The document may be old and out of legal compliance. Maybe it makes illegal inquiries about things like disabilities, marital status or age. Read every question as if you were a member of a jury. Online resource: Find an explanation of when and how to ask about medical issues in the EEOC’s Enforcement Guidance: Disability-Related Inquiries and Medical Examinations of Employees under the ADA. ◊ ◊ 1. What medications are you currently taking? ◊ ◊ 2. How many days did you take leave last year? ◊ ◊ 3. How tall are you? ◊ ◊ 4. How did you break your arm? ◊ ◊ 5. Do you drink alcohol? ◊ ◊ 6. How much alcohol do you drink each week? ◊ ◊ 7. How many days were you sick last year? ◊ ◊ 8. Can you meet this job’s attendance requirements? ◊ ◊ 9. Do you have the required licenses to perform this job? ◊ ◊ 10. Have you ever filed for workers’ compensation? ◊ ◊ 11. Do you have a disability that would prevent you from performing the essential functions of the job with or without accommodations? ◊ ◊ 12. How well can you handle stress? ◊ ◊ 13. When do you expect to be off those crutches? ◊ ◊ 14. How often will you require leave for treatment of your disability? 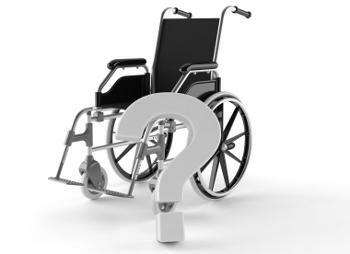 Tip: When judging the legality of any question as it relates to disabilities, ask yourself: Does the question focus on the person’s disability, or does it focus on his or her ability to perform the job? Answers: 1. No; 2. Yes; 3. Yes; 4. Yes; 5. Yes; 6. No; 7. No; 8. Yes; 9. Yes; 10. No; 11. No; 12. Yes; 13. No; 14. No.